It remains the most fascinating, talked about match-up in boxing, even if we all know it will never take place: Floyd Mayweather Vs. Gennady Golovkin. From before his 2015 “retirement” up to the present day, fight fans and experts alike, when asked to list the one fight match-up they’d most like to see made, reply a Mayweather-GGG clash. “When I was overseas I seen another fighter fight and I thought he came up short. Y’all know who we’re talking about…..Triple-L, because he lost three times to me,” Mayweather said. “Triple-G, he can punch, he’s a good puncher. But I may need to train Danny Jacobs, because Danny Jacobs – he could have got the job done a lot better. I could have shown him how to get the job done a lot better. But Danny Jacobs put up a hell of a fight. He’s a hell of a fighter. Triple-G is a hell of a fighter. It was a good match-up. Indeed, you will not find too many fans arguing with Floyd here; as Mayweather, if he met the GGG who struggled so badly with Jacobs’ movement and hand speed, would almost certainly pot-shot, befuddle, box and ultimately cruise to a fairly wide decision victory – all the more so if the two met at 154 pounds. Mayweather, as he showed against Canelo Alvarez and so many other excellent fighters, is more than capable of making special fighters look ordinary. There was a time, not too long ago, when a big number of fans felt Mayweather had ducked Golovkin for fear of losing to him. Right now, this opinion is shared by a whole lot less people. Mayweather outboxes the GGG that fought on March 18 every day of the week and twice on Sundays. 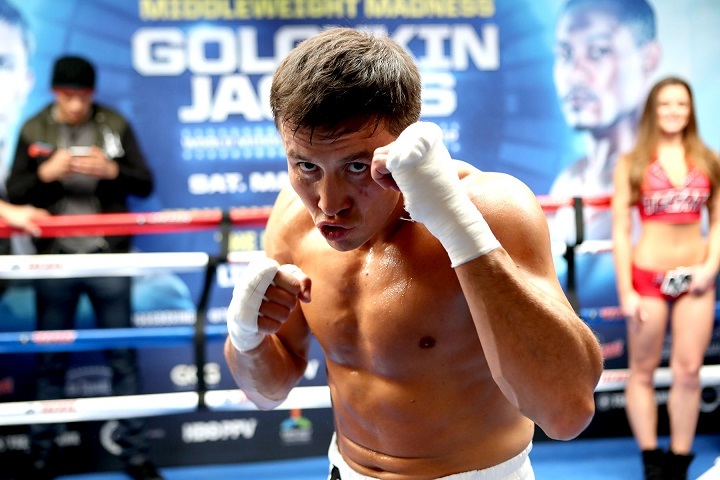 The big question is, did Golovkin have a mere off night against “The Miracle Man,” or is he already a fading fighter?